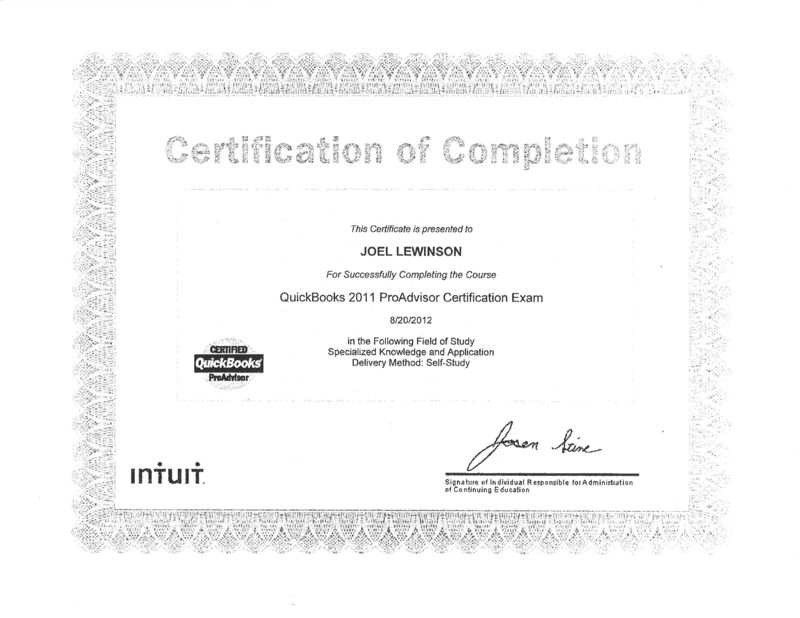 As a certified QuickBooks ProAdvisor in Woodland Hills, CA, I am an expert in setting up and training my clients to use QuickBooks for all their accounting and tax needs. My 30 years experience as a Los Angeles Certified Public Accountant has included a wide-ranging knowledge of this state-of-the-art accounting software. QuickBooks is a comprehensive software that can be used by experienced accountants, small business owners who have no formal accounting training, as well as owners of medium-sized businesses (which is where QuickBooks Enterprise Solutions would be used). My staff of tax accountants and I not only use QuickBooks for our personal use, we also offer training to all of our clientele. We will assist you in setting up your QuickBooks accounting software for your own personal or company use. The software’s audit trail capabilities, double-entry accounting methods, and increased functionality are extremely user-friendly for the “layman” accountant. Best of all, QuickBooks can also be accessed through QuickBooks Online, where we can instruct you on how to navigate through the QuickBooks website and individual web pages. And QuickBooks Online is compatible with a variety of PC and Mac browsers. For the PC user, QuickBooks Online is compatible with Internet Explorer and Mozilla Firefox. For the Mac user, QuickBooks Online can be accessed through Safari, Firefox, and Google Chrome. QuickBooks Online can even be accessed by your personal iPhone, BlackBerry, and Android. When it comes to the installation of accounting systems that are up-to-date and user-friendly, my staff and I combine our expertise and customer service skills to help your QuickBooks set up be an educational and enjoyable experience. However, if you are a business owner in the Los Angeles area, the QuickBooks training will also teach you the importance of payroll accounting, where the bottom line not only affects you, but also your employees. All of us at my Woodland Hills accounting firm stress the importance of utilizing our expertise and enthusiasm for all your income tax services, especially in how QuickBooks enhances your own personal understanding of your tax returns. Most importantly, our services in QuickBooks set up and training can by applied to all diverse clientele. It does not matter if you are an individual/sole proprietor, a limited liability corporation, a business partnership, or a professional corporation (s corp or c corp), QuickBooks can be used by any person or business. In addition, once you master QuickBooks and you’ve completed your income tax returns, all your fears and frustrations will disappear, bringing you peace of mind and greater productivity.